Not exactly a new feature, but worth reminding it exists: you can change the order of fields in the participants entry form by dragging them with the mouse. The new order gets saved with the event. Keeping the pace, constant improvements, here's the new official release. the old Team list side panel disappears and is replaced by a more accessible and convenient Teams tab, making it available as a standard grid. Means you can get the best of it: sorting, filtering, multi-line edits,... The list can be filtered by race just as the participants or results grids. New data columns are available to get numbers of teammates registered/ranked/finishers. So more statistics become available. when printing the grid, you'll get a handy choice to print either a simple list or a detailed one with participant details. the team categories become a separated list, making things clearer in most race contexts. So that where it matters you'll be able to work on a shorter and more relevant list for selection. Options concerning automatic assignment of team categories are now accessible from the categories form below the list. Lot of ideas to keep enriching this strategic piece of the solution. If you want to display results on a TV sized screen, here's a great new feature. First load the standard G-Live page, select the grid/race you wish, press F4. The grid goes in full page mode and starts auto-scrolling. 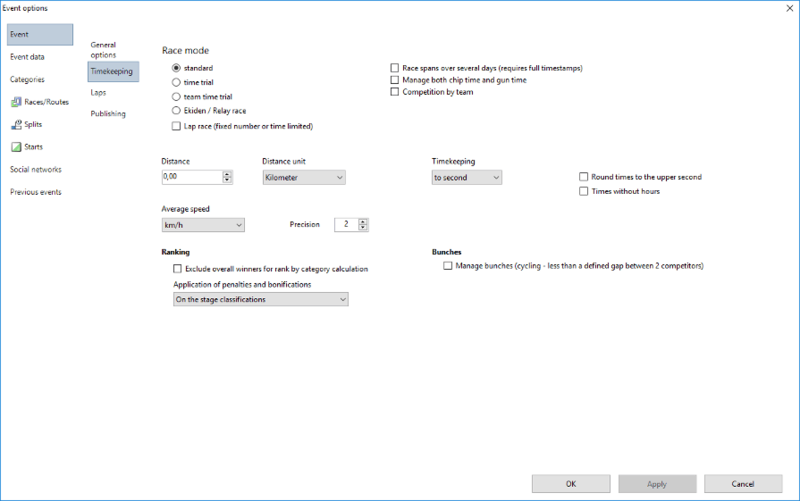 A non scrolling mode is available by hitting F4 once again. And F7 gives a nice dark theme eventually more suitable for outdoor contrast. Don't forget to play with the browser zoom as well, before setting it in full-screen mode. If you have a Youtube video of your finish line, you can now enter its address as an event parameter (tab Social networks of the options form. Alongside with its starting hour. On your online results, the video will be embedded into the athlete summary form and will start right before he/she's crossing the line. Penalties are now displayed on G-Live: a mention of the time values added is shown on the result grid, and the detail of the motives can be seen in the competitor summary. Now shows both average speed and pace values, corresponding to the main finish time. The selection menu is re-designed, more compact and hopefully more obvious. Result lists items placed on a custom screen configuration can now be auto scrolling. You control parameters such as the step height, the scrolling pace and the animation duration. Scrolling can be horizontal as well. A new menu item brings the ability to decide when the recent passing history disappears from displays. Rather than an arbitrary timeout, you decide what and when to clean the list, for example to prepare for the next race or the next lap. The design of printout templates is enhanced: now organized into 4 distinct areas where text items or pictures can be placed. Document header, (other) pages header, page footer and document footer. Hence more possibilities, like appending some document notes as required for the event. And a nice shortcut as bonus: when working on the print preview a text item from the template can be clicked to quickly change its content. It offers some quick additional filtering possibilities, in the sense they're not built on the visible columns data. And they won't conflict with a regular filter already applied like a race selection, rather combining with it. On the participant list the built-in conditions adds some shortcuts to isolate starters/non-starters, finishers, participants seen somewhere/nowhere, or withdrawals. So it's totally convenient to change in one operation the status for all individuals not seen at any timed location - typically setting them as non-starters. On the result grids it's combining the data check features, to find missing intermediate times or inconsistent split time chronologies. These ones were already existing as a ribbon button but this way they become much more accessible. Summer time here, but not totally resting - just like most of you being on the field. So here we keep the pace with a new 8.4 delivery, wishing it brings cool improvements for everyone once again. For those of you being in such context where the chip time is the whole thing, this new option will be much appreciated. Activating it means the regular ranking is based on the chip time performances. And the gun time becomes the additional information, in grid displays or for podium calculation purposes. Moreover, the intermediate split times get calculated as chip times as well. The startup screen has been fully redesigned, not only for aesthetics but we hope also for a better experience. More items in the recent file list are now displayed. The information about licence expiration and new updates available is more straight forward. Not the least of the new stuff, lap races can now be monitored in a matrix view mode, complementary to the regular passing list. The matrix can be filtered on a race of your choice. The highlighting of inconsistent lap times is easier than ever, with configurable limit values for each race. In relay races, it's also aggregating laps made by all teammates, giving an immediate status on all relays. The matrix can be printed, as long as the number of laps/columns is not too high. Useful when one of your timing devices wasn't properly synchronized, or for any purpose when importing some time data: the import options now comes with the ability to add or remove a time offset to the raw values. For a greater flexibility, you can now chose how the participants nationality gets displayed on papers. This can be the flag, the country code, the country name or even a combination. You'll retrieve all options in the data selection menu, opened from the print preview. The countdown is now a much more audible 10-5-4-3-2-1-0 sound. As was already possible for penalties, you can now enter time bonuses independently from the additional classifications (mainly used in cycling events). These bonuses can be individual or applicable to a team. This was a missing one: now the individual start information can be shown as a column of the result grid. Being usable there for printing, sorting, editing and filtering. The automatic race assignment feature has been extended, so that it can now apply based on registration data. Means you can for example set up a link between age categories and a race, and the race will be immediately assigned after the category. The feature remains ok to work on result data, i.e. when the race has to be determined based on some split locations having been through or not for instance. In addition to few bug fixes around, we've made the link between a report and a template more tight by including the race (or the custom ranking/participant list). 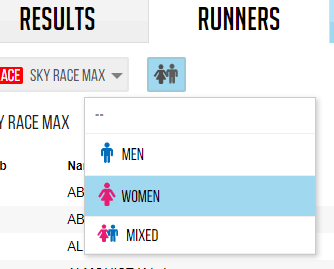 This means you can bind a different template for each race of your event - because you need different columns or specific logos - and you won't have to care afterwards. This can be a must for your very special events: the screen configurations for G-Live can now be embedded on your web site just as the standard G-Live page. 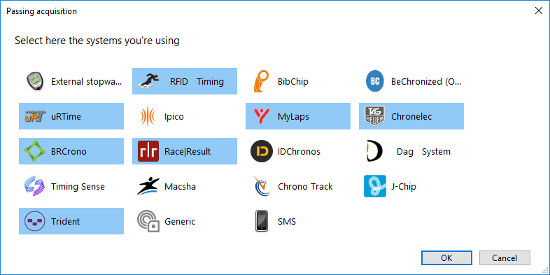 So you can display dedicated colors and logos, along with the most relevant data depending on the race. This of course if you're using the Web Live option. Cosmetic but useful as well: you can now modify the order of the acquisitions in the list by drag and drop. A further sophistication for finish line management: in case for some reasons - linked to the electronic devices - Wiclax receives a chip read from the backup line before arrives the same chip read from the main line, it will override the time first integrated with the most accurate one. Though it was somehow convenient to get everything on the same plate, we've decided to bring more clarity and a better organization with the event options screen. The General options pane no longer exists and the event/stage options are divided into a few straight forward groups. To handle race configurations where you need only some segments of the track to be counted, we've made the segment not timed option compatible with lap races. Actually there's now 2 possibilities: either excluding some segments - their time will be subtracted from the overall lap time - or specifying a white list of segments to take into account - in this case the lap time is calculated by the sum of these segment times. A good sample of race pattern where it's gonna be used is a timed climb, with the climb section made an indeterminate number of times and only the climbing time being counted. And the "best lap time" information becomes the best climbing time. A nice step forward for our North American users, we're proud to announce that Wiclax is now in touch with the RunSignUp platform! Thanks to its openness and a state-of-the-art tech background, we've been able to come out quickly with this first important milestone which is the ability to download some race participant lists into your event files. Making it simple and efficient as usual: you access the Web registrations feature and select RunSignUp as the platform you'll be working with. Then after entering your credentials on the RunSignUp login form, you'll see all races and events you're allowed to access. Clicking Import on the item of your choice, you'll be prompted to tell where to move the answers of the custom questions of the race, if any. And that's it, all the useful data will be appended to your lists. 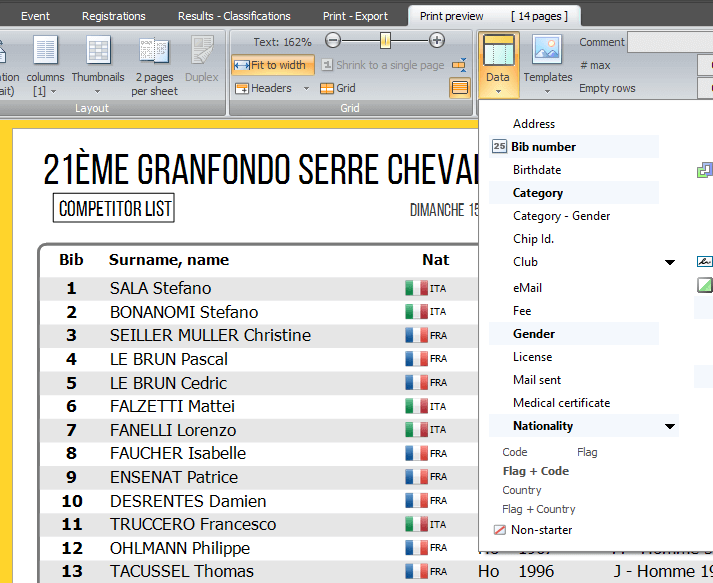 A long awaited one, you can now provide some PDF printouts to your race result visitors on the Internet. The same way that we like printouts from Wiclax giving their best, we wanted the PDF available online to be more than just a poor data report. 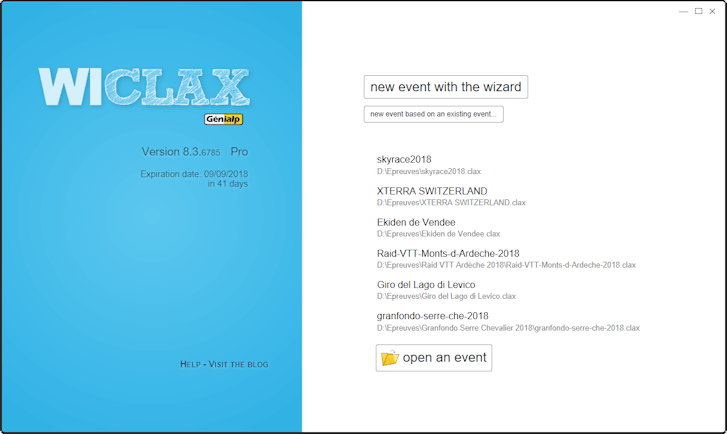 So we've made it that way: the PDF files will be generated by Wiclax itself and exported in a click alongside the event file itself. On the backend the G-Live page will display a PDF button with the links, and that's it. Your files online are exactly as you wish, made from your own templates with the race sponsor logos and so on. And around that, a new PDF export feature similar to what already existed for Excel files allows you to create all files you need locally in a single batch. This new option brings more opportunities when having to deal with specific competitions, like a multi-sport event or a climbing race where only the uphill way is going to count. Having some intermediate timing points in place, you can define some segments and tell that some of them are not timed. I.e. they won't be taken into account for the overall final time calculation. Hence a multi-sport event where competitors are doing a series of trials one after the other but have a rest or a waiting time between them can be managed in Wiclax without going with a multi-stage approach. Looking to make the live screen design always more powerful and easy, we've made some nice changing so that the preview displayed at this point is an exact wysiwyg representation of the final result. 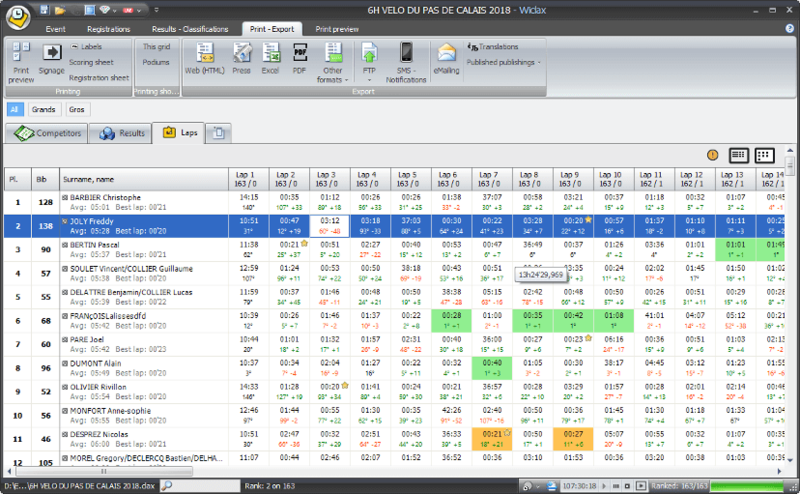 The widgets are filled with sample data in all cases, coming from the opened file participant list if available or just random. And they remain draggable and resizable with the mouse. More to come will be the ability to specify adaptative units for the sizes and positions, in percent or as CSS vw and vh (percentage of the available screen, horizontally and vertically). The feature is more explicit than it used to be, allowing now both saving and creating some regular backup copies. 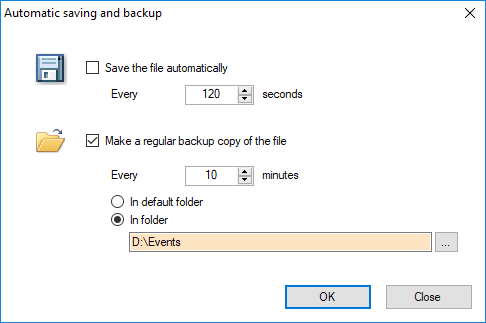 In addition, you can also specify a target folder for the backup, like an external USB drive. You'll find a new tab in the event options to enter a few properties related to social network sharing. These properties - a picture URL, a title and a description - will be used by g-live when a visitor wants to share an individual result on Facebook. In addition to Génialp own platform, timers can now get connected to the US RunSignUp leading platform and download their registration data. The global interface can now use some smarter notifications to inform about any kind of event or error. This way is less intrusive than the old fashion message boxes, which could besides be stuck in the background when not attached to the main thread. These notifications can be stacked or dynamically updated, and they can propose some contextual actions to perform. some good support for right-to-left languages (thanks Dror for helping with Hebrew). Printout can now be processed accordingly, mirroring the order of columns in tables. And you can check how the G-Live application adapts itself when you select Hebrew as the language. a new ability to store some specific translations on an event file directly. For example because for that event and only that one you need some bilingual column headers. Hence once bound to the event file, you're no longer dependent on the general settings to be in phase with your needs. Available naturally in the Translations form. 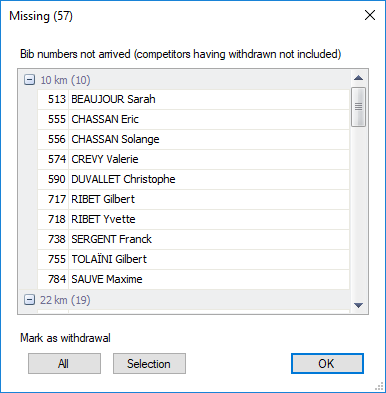 The missing competitors feature gets enhanced, and no longer displays just a raw list of bib numbers. You can now see names and races, copy data and work on a selection of rows to decide who to mark as withdrawals. And the new form is ready to integrate even more information in the future. The previous mode proposed a handy auto-centering option for pictures, which was nice but not open for true customization. Now you're free to position text items and pictures wherever you want. Moreover, a new option of a printout template can be used to remove the default footer texts, and additional variables have been added for page numbering and print date, so you can redefine them if necessary. Next step will be to distinguish a page footer to be repeated on each page, and a document footer to append specific information only once. 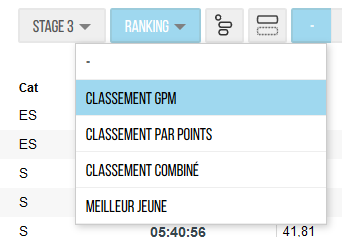 Useful for cycling races but not only, the G-Live application now also allows to select and display the additional classifications of the race - e.g. the sprints or the mountain ranking. specify a custom delay between 2 bunches, on cycling races. The value still defaults to 1 second but can be adjusted according to the race rules. 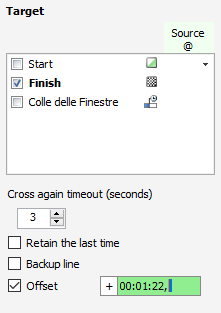 In case you unfortunately have to backup some missing chip passing manually, entering the bib number aside times in the queue (keyboard times) will now behave as expected. I.e. appending a new lap to the rider.